Giving students a broader insight into the world around them could be as simple and flipping on the classroom projector. Use the tech to connect with an international classroom for a student-driven question and answer session to offer insight into the local culture (and press students to critically think about their own culture when reciprocating) or tackle a joint project or lab experiment using the unique perspective from the schools’ different environments. Never underestimate the motivating power of pride. Use the classroom projector as a virtual fridge and kick off each day by celebrating excellent work from the day before. Whether it is a perfectly executed lowercase “a”, a photo of a creatively built diorama or meaningful student poem — there will be opportunities to highlight the hard work and unique talents of every member of the classroom throughout the month. What might seem like a small gesture of recognition can lead to big returns in confidence and pride in a job well done. Start the day off right by using an interactive projector to encourage name recognition in an engaging way. Whether it is sliding a fish from its coral reef home out to the open ocean, inviting your little cows to mooove from the barn out to pasture for the day or letting students hit the open road in a variety of cars — labeling these graphics with the child’s name not only lets them proudly claim their attendance for the day but gives opportunities to chat about routines and readiness to settle in for learning. If your classroom is broken into learning stations or you have group projects at various stages of completion, these programs can also be used to either schedule which students should head where in the classroom, or keep track of who has completed an element of their group work. A variety of trees can be labeled as “read”, “discuss”, “plan”, “create”, “present” — with student-name labeled squirrels being moved from branch to branch. A quick scan will tell a teacher where the class is at so they can focus on stepping in with help and instruction within the groups. If a given week should include a session in the quiet reading corner, the art and create area, the numbers board and the building tables — create a simple diagram of the classroom as a guide for students to see at a glance where their avatar is heading for the morning. It can be challenging to determine the interests and passions of students, while achieving all the teaching that needs to happen in today’s classroom. Follow advice often given to learners and “use your tools”. 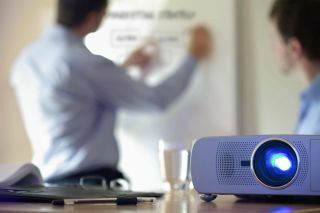 Use the projector to share TED Talks that coincide with classroom subjects or slideshows from national parks to engage the students while you provide direct instruction to catch up an absent student or set up the next project for the day. With such a wide variety of topics covered, you might stoke the interest and inspire a student to follow their unique dreams. Budget cuts and strains on classroom teaching time have put a damper (or done away with entirely) full day field trips for many schools. We know exposing students to a variety of learning paths can spark curiosity and motivate further exploration and organic growth of knowledge. Using a classroom projector as a ticket to virtual field trips can bring new lessons to life. Discovery Education Network offers no-fee virtual field trips for students of all ages and interests. Nature programs based in far flung lands for young learners, tech-slanted content for middle schools, even high schoolers can tackle serious social issues from their own desks. While it might not be the exact same experience as exploring a museum or historical site in person, at least it offers a chance to enhance daily lessons and classroom curriculum. Here are a few upcoming learning opportunities. Head to Churchill, Manitoba, Canada for the annual polar bear migration. Since 2010, Discovery Education has teamed up with Polar Bears International to bring students a series of webcasts during the annual polar bear migration. Find out about these extraordinary animals and learn more about our favorite big white bear, its habits and more. Explore how Toyota Research Institute is using artificial intelligence and machine learning to bring safety, convenience, and comfort to our lives through automated vehicles and robotics. Viewers will take a tour of Mcity, a one-of-a-kind urban test facility. Join the Drug Enforcement Administration (DEA) and Discovery Education for a powerful Virtual Field Trip for middle and high school students to meet real people affected by opioids and hear their stories of loss, triumph, and learning.